From left to right: Art on the Box artist Donald Thille, Division Midway Alliance Americorps volunteer Kem Marks and Art on the Box artist Yuliya Kostina. Photo by Portland Bureau of Transportation. (Nov. 21, 2016) As the bureau responsible for our streets, sidewalks and other transportation assets, we are dedicated to building and managing infrastructure that not only makes it easier and safer for Portlanders to get from place to place, but that also increases the quality of life in our communities. Today, the Portland Bureau of Transportation was proud to join community leaders from the Division Midway Alliance (DMA), the East Portland Action Plan, the Portland Development Commission (PDC) and the Regional Arts and Culture Council on SE 122nd Avenue and Division Street to celebrate a new community beautification project called Art on the Box: Portland’s first public art project on a traffic signal box. “Portland needs a lot of art. It’s always busy, always moving. It’s good to see colors instead of just the plain colors of buildings,” said artist Donald Thille, 19, who graduated from Fir Ridge alternative school in 2016. 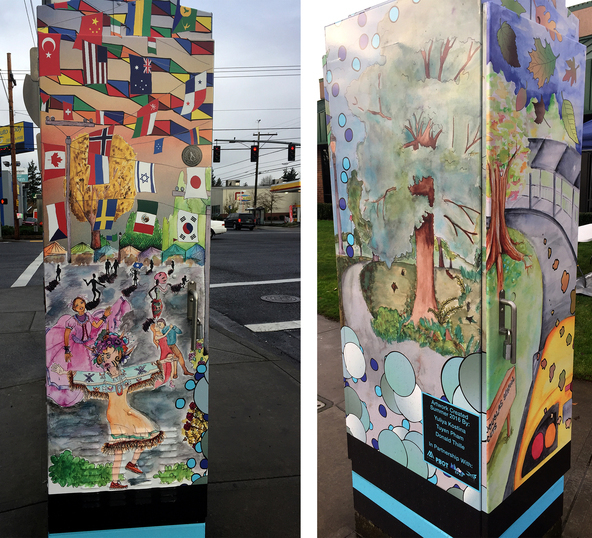 Art on the Box at SE 122nd Avenue and Division Street. Photos by Portland Bureau of Transportation. “As part of the visioning process for the Division-Midway business district, the DMA heard from community members that they wanted public art to be a part of the process,” explained Lisa Boisen, Executive Director of the Division Midway Alliance. With cost often being a barrier to installing public art, DMA explored low-cost public art options. 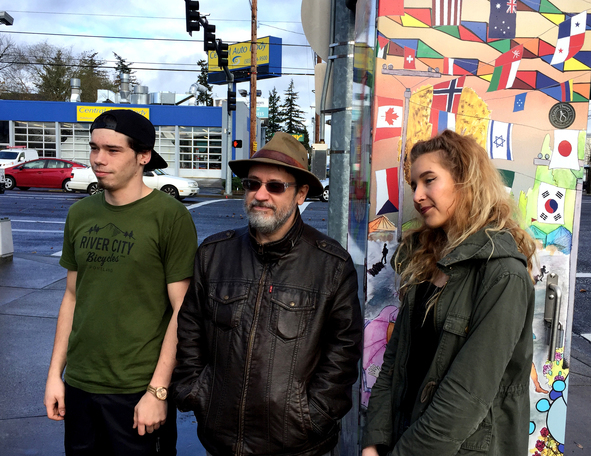 Their research led them to the Art on the Box concept, which has been used in other cities, including Miami and Boise, as a low-cost public art project and as a way to deter graffiti. After approval by the DMA board, the project was led by Kem Marks, the DMA’s Americorps volunteer. He worked with PBOT and the Regional Arts and Culture Council to shepherd the project through the city processes. 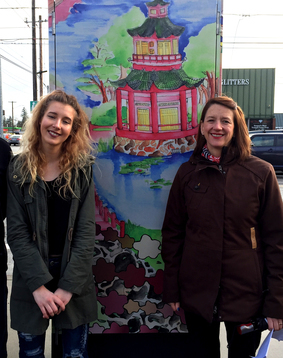 DMA partnered with Morpheus Youth Project, a local nonprofit that connects at risk youth to art, and won a grant from the East Portland Action Plan to pay for a portion of the project. The remaining costs for the project came from the PDC.